A tentative labor agreement was reached at a Lear facility in Ajax, Ontario, where a three-day strike caused a production slowdown at a nearby Fiat Chrysler assembly plant. Unifor Local 222, which represents 320 workers at the Lear Ajax facility near Toronto, said in an early Tuesday morning tweet that an agreement had been reached and that workers would vote on ratification at a 6 p.m. meeting that day. 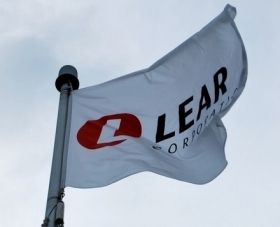 The Lear plant supplies seats for FCA's Brampton, Ontario, assembly plant, which builds the Dodge Challenger, Dodge Charger and Chrysler 300. A local union official who represents workers at the Brampton plant told Automotive News Canada on Monday that workers at the plant's day shift were scheduled to work just four hours as a result of the strike and that he expected its afternoon shift to be shortened.